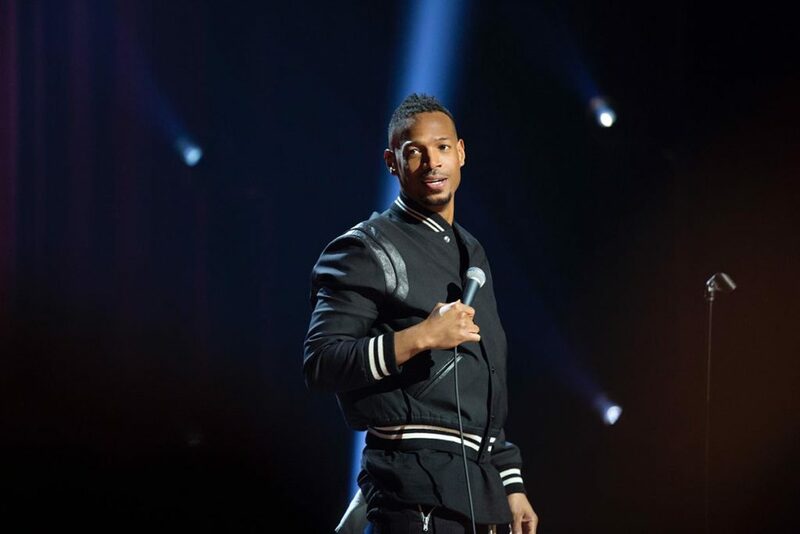 Comedian and actor Marlon Wayans brings down the house in his honest, energetic and animated debut Netflix Original stand-up comedy special, “Marlon Wayans: Woke-ish.” Filmed at MGM National Harbor’s The Theater in Washington D.C. in front of a packed audience, Wayans doesn’t miss a beat as he opens people’s eyes about the White House feeling like a reality show, jokes about rappers aging with their music, addresses the blatant racism in America, and reflects on the conversations he’s had with his teenage children. Visit Marlon Wayans: Woke-ish on Netflix. This entry was posted in Uncategorized on October 11, 2018 .